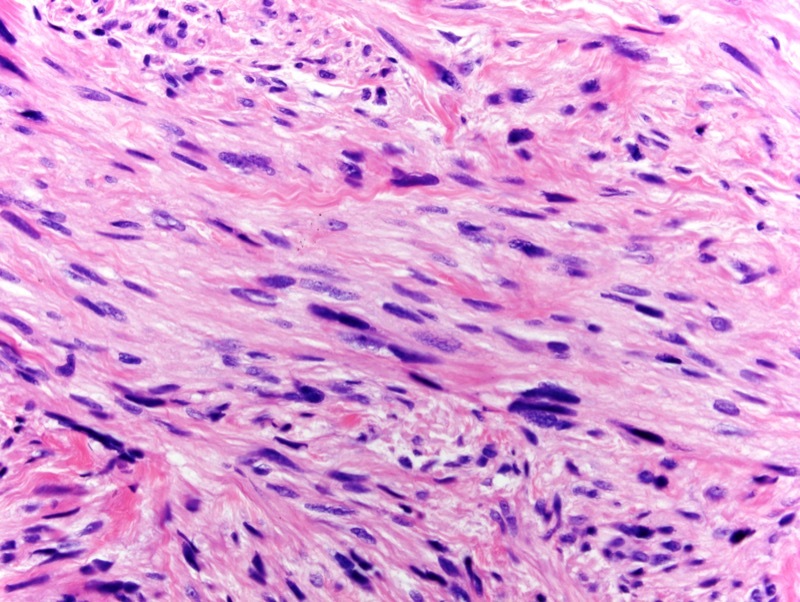 The findings are diagnostic of a well differentiated atypical leiomyomatous tumor. 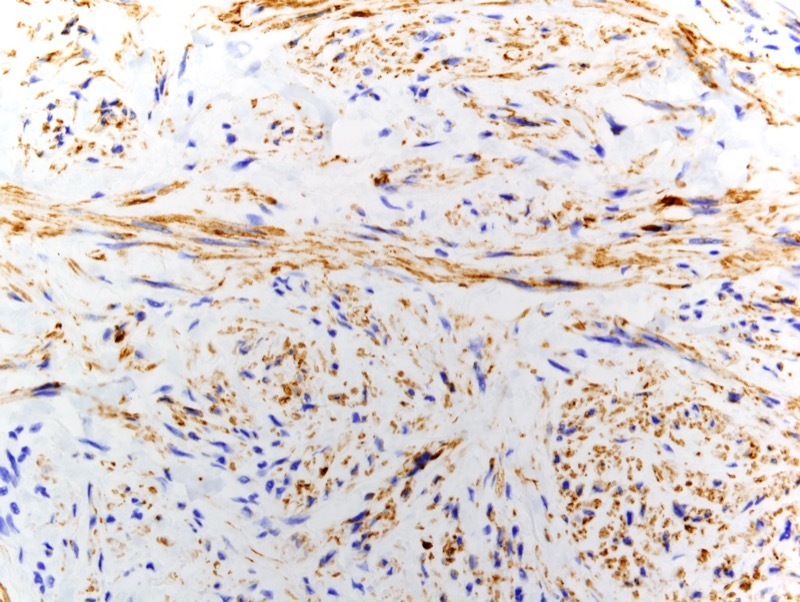 Based on the extent of cytologic atypia, mitotic activity and Ki-67 proliferation index this lesion is best treated and categorized as a leiomyosarcoma. This would be a probable superficial variant of presumptive origin from the pilar arrector muscle. 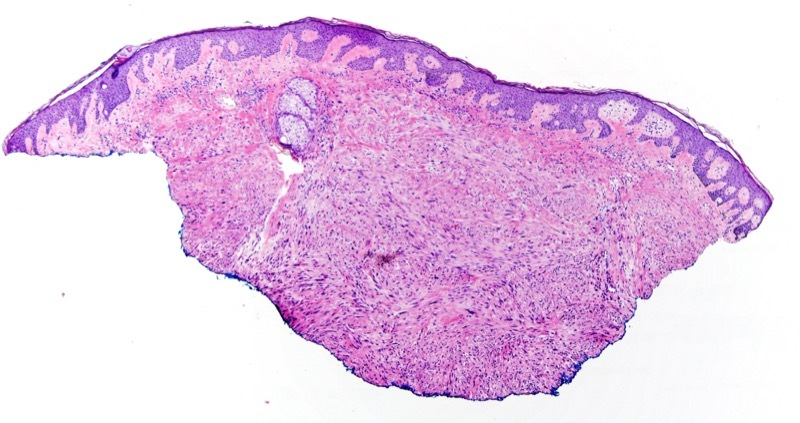 Some authors have argued that these lesions should perhaps be designated as atypical leiomatous tumors since their biological course is one associated only with local disease without metastatic potential. It is well known that these lesions do have a cognate morphology to their benign counterparts however it is the pleomorphism and mitotic activity that would separate this lesion from a leiomyoma. 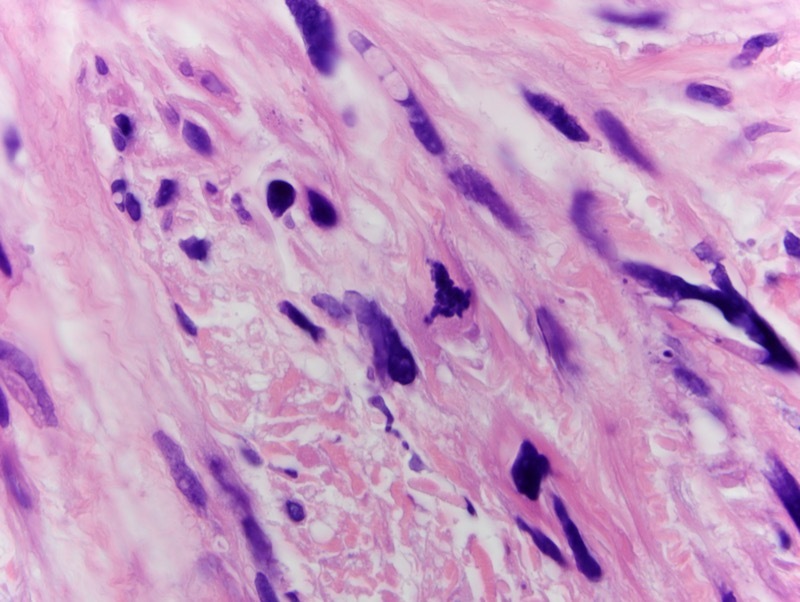 The differential diagnosis would encompass a symplastic leiomyoma however the overall degree of cellularity and mitotic activity would not support this particular designation.